“We have confidence that fusing the local ESET UK team with our global talent, its know-how and experience, creates the perfect mix to strengthen our market position in Britain,"says Richard Marko, CEO at ESET. The company has been present in the UK market for more than a decade thanks to its relationship with its partner company. In line with ESET’s strategy, it recorded double-digit sales growth in the UK in 2015. “Especially in the last few years, we have co-operated very closely with the team in the UK and are very excited to move this co-operation even further, in order to become a household name on the British market for all ESET consumer and business endpoint security solutions. Prospectively, also reaching a position among the top three vendors in the UK,” Miroslav Mikus, ESET EMEA Sales and Marketing Director, says of the transition at ESET UK. “In the first year at the new office we will drive expansion of the team, focus on our top-level technical support and reseller management with the aim of optimizing for the long-term development of our UK partner network,” added Mikus. Establishing a direct ESET office in the UK is part of the company’s long-term strategy to boost market growth in EMEA's top IT security market the United Kingdom and to continue year-to-year double digit growth in sales. Along with the regional EMEA office ESET already has, there are also now 8 local offices and research & development centers based in the European Union as well as an extensive network of European partner companies. The opening of ESET UK office follows the establishment of German office in in 2013. According to both IDC* and Gartner**, ESET is the top IT security company based in the European Union. The ESET UK office is based in Bournemouth, in southern England and will be overseen directly by the ESET EMEA Sales and Marketing Director. All the employees of the former exclusive partner remain and more will be added starting this year, with the expectation of at least doubling team size within a five-years. Last year, ESET acquired DESlock, based in Taunton, England, which specializes in advanced encryption solutions and which has been a successful partner within ESET’s Technology Alliance since 2013. With this acquisition, ESET also added a new research & development location, which has increased the company’s ability to recruit local talent in the UK. Furthermore, ESET has been part of testing by UK-based Virus Bulletin since its inception back in 1998 and is the record-holder of VB 100 awards with more than a decade-long string of unbroken successful tests. 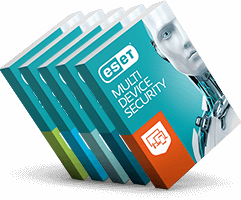 * ESET was ranked as 5th Largest Endpoint Security Vendor in 2013 and grows 23% - 6x the market growth rate, reports IDC in their report titled ‘Worldwide Endpoint Security 2014-2018 Forecast and 2013 Vendor Shares’ from August 2014.